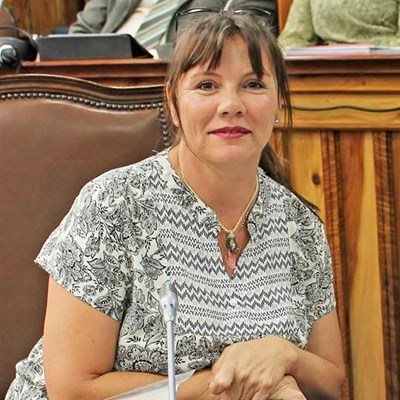 The ACDP representative in the Mossel Bay municipal council, councillor Jeanette Gouws, said in a press release she had again been threatened with legal action in the course of her work. Gouws said all councillors had a duty to investigate complaints received from residents as they are representatives of and acting on behalf of the public in council. "The role of a councillor is to exercise oversight of a municipality's affairs," Gouws said. "After receiving a complaint from a resident in Klein Brak River and requesting information from the municipality about possible illegal building activity, I received a call from the specific homeowner threatening me with legal action for so-called interference." On a previous occasion, Gouws was threatened by an ex-DA public office bearer after asking for a correction to the Annual Statements of the 2016/17 financial year which Gouws said made claims that were false and misleading. Gouws would like to highlight that it is a criminal offence to attempt to intimidate another person and that charges can be laid in accordance with the Intimidation Act 72 of 1982 and The Protection from Harassment Act 17 of 2011. "Schedule 1 of the Municipal Systems Act 32 of 2000 states that councillors are elected to represent local communities on municipal councils and to ensure that municipalities have structured mechanisms of accountability to local communities. "In fulfilling this role councillors must be accountable to local communities and no distinction is made between ward or proportional representation (PR) councillors," Gouws stated in the press release. "Furthermore, the Rule of Law principle is that nobody is above the law. "Another important application of the rule of law is the principle that governmental authority is legitimately exercised only in accordance with written, publicly disclosed laws or by laws which are adopted and enforced in accordance with established procedural steps. This is known as 'due process', and ensures that all conduct and decisions must be made within the legal framework. "The rule of law means that everyone must be subject to a shared set of rules that are applied universally and which treats all people fairly and equally," Gouws stated. In attempting to achieve these aims Gouws said she will not be intimidated or prevented from exercising oversight or from fairly and equitably attending to complaints, queries, requests for assistance or concerns from the public. She is committed to fairness, honesty and transparency in all her dealings and is committed to serving the public and Mossel Bay Municipality in accordance with the relevant acts and the mandate received from the electorate of Mossel Bay. *The DA-lead Mossel Bay Council has been criticised continuously for abusing its political majority in council meetings to enforce a stronghold and to bulldoze controversial decisions through despite strong opposition from all other opposition parties. This despite a statement from the new municipal manager, Thys Giliomee, that politics should play no role in municipalities except for an overview role . . . It is time now for the Church to make a difference in South Africa by voting godly men and women into government, said Errol Naidoo in an interview in Port Elizabeth yesterday. The Family Policy Institute founder and media personality, who earlier this year announced he will be standing for the ACDP in next year’s general election, was in the city to address a public meeting. He said that he has addressed gatherings in all the major centres in SA over the past few months and there was “lots of buy-in” from people of all races — especially pastors — who wanted to replace corrupt politicians and self-serving parties with competent people of integrity. Before the last election, many Christians he had spoken to indicated they would be voting for “a stronger opposition”. Now, amidst national despondency over political corruption, he was hearing more Christians talking about a need for godly governance — “there is more of an acknowledgement that we need God”. He said an audio recording of one of his earlier meetings — in Pretoria — had gone viral on social media and resulted in him getting many invitations to address groups. He would be speaking at forums around the country until the end of this year. He said while the ACDP had a well-deserved reputation for integrity, people did not know its policies and he was working on a major communication campaign to share the party’s position and solutions on the economy, jobs, land, reconciliation, health, education, crime, freedom of religion for all, and more. The party had nearly 25 years of parliamentary experience and Steve Swart, one of its three MPs, was the longest-serving member of parliament’s judicial portfolio committee. Despite having had only seven MPs at its peak of representation and only three MPs for most of its life, the ACDP had “punched way above its weight”, influencing much legislation through portfolio committees. Cheryllyn Dudley MP had made parliamentary history last year by getting the first private member’s bill passed — on paternity leave. With the help of a powerful, new, social media-management software package and a professional communications agency, they were creating a series of video clips to share the ACDP’s many achievements. Clearly the argument that many Christians believed before the 2014 election, that a vote for a smaller party was a wasted vote, was not true, said Naidoo. With the help of better communication, effective fundraising, and quality candidates, the ACDP’s vision was to secure 30 to 35 seats in parliament, as well as more representation in provincial legislatures. “A stronger ACDP can definitely make a difference through godly men and women based on the word of God who want to serve Jesus Christ and not a man,” he said. With 30 MPs the party would be represented in every portfolio committee and influence all legislation. They would also get more podium talk time to share solutions and they would have a greater budget allocation for staff to facilitate effective communication. “The Bible says ‘select capable men…who fear God, trustworthy men who hate dishonest gain’ to lead (Exodus 18:21). “I believe that’s exactly what South Africa needs. There is a lack of fear of God with people doing what they wish which is taking the nation to the brink of disaster despite its great potential. Referring to Matthew 5:16 (In the same way, let your light shine before others, that they may see your good deeds and glorify your Father in heaven.) Naidoo said there was an urgent need — a window of opportunity — for Christians to shine their light in many spheres, including government. “A view that is sometimes expressed that Christians should not go into politics speaks death over the nation. “Every born-again believer is set apart to be used by God to bring change where they are. Jesus sends us into all of society and that includes parliament. “If all good people, led by the Spirit, who know God’s word, stay out of government, we will leave a vacuum for wicked, incompetent people. “We can’t abandon parliament and then complain and want to leave SA. The wicked do what they do: be wicked,” he said. He said the political reality in South Africa was not democracy, with government for the people by the people. It was government by political parties who serve their interests. What voters said did not matter. Party leaders call the shots, which was why the ANC had protected former president Jacob Zuma eight times during no confidence debates. “We need a godly party that is about the country and not the party,” he said. The Cape Party have joined forces with the Green Party. The Green Party is focused on a sustainable environment and will continue to focus on this, only now it will be stronger since a partnership has been formed with Cape Party. The result is that we have expanded our footprint. People who did not vote for the Green Party before need not feel reluctant in the future because the green party is no longer a small party. We need to get a green voice in parliament that is prepared to protect the eco systems that gives life ensuring that food is safe to eat, water safe to drink, air safe to breathe. We must rehabilitate wildlife, giving all animals rights. Creating a world for our children to inherit. The environmental situation on planet Earth requires immediate attention . Promises are made based on an old, colonial view of the world which saw a finite human population surrounded by infinite resources. Today the reality is reversed. Our goals are: Environmental Education for All – using television, radio, the press, internet, we will provide every citizen, in their own language, with understanding of how the life-support systems on the planet works. Creative Self-employment programs. This will enable people to grow their own food and build their own homes and provide meaningful life-styles and occupations to replace the fruitless job-search.. Unemployed people will become a leisure class, with food and shelter that they create for themselves, and real quality of life. The two parties have joined forces to become more determined. People who did not vote for the green party need not feel reluctant in the future because the green party is no longer a small party. Cape Part stands for direct democracy and the Singapore economy system and a green Cape of Good Hope.